McMillan fumble was as fluky as some of USF's turnovers. 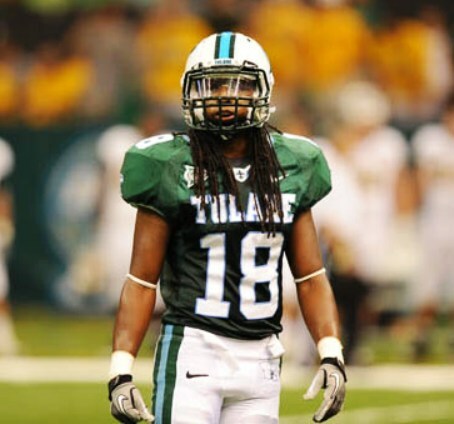 Maybe Fritz's world class focus on ball security mattered here and gave Tulane the edge. Huh. Maybe Fritz should have tried some of that world class focus when Banks was playing. Welcome back. We missed you after Tulane blew out a 7-1 team on the road. Meanwhile you answered your own point. Banks didn't get Fritz's message about fumbling and that's a major reason why he was benched. Too bad. If effort, attitude and will power guaranteed success, Banks would be an All American. Anyone else find it interesting that Ledford was the guy who came in for a play (when McMillan had his helmet ripped off) and not Banks? Is Banks even dressing? Fritz said after last weeks game that he was hurt. He hasn't been able to throw at practice. So no surprise. Let's see he can't throw due to his injury and yet we should put him on the field to take shots. No. He's got 3 games guaranteed left in his college career. He may not have been the answer we were hoping for, but Banks has always played hard and never quit. His drive against Army last year is testament to that. Converting him to RB would take carries from Bradwell and Dauphine...we don't want to go there again. Meanwhile, we may need an experienced backup at some point in these next few games. Let him get healthy. Yes those rotator cuff injuries are really subject to getting worse from hits. Depends on the injury my friend. He's injured to the point of not being in pads. Nuff said.